For reflections of clouds first you need clouds. That may seem obvious, but some places in the world don’t really have clouds, or at least not often. Las Vegas has lots of buildings that reflect but not that many clouds. This was a rare day in that desert city. Holland has clouds, mostly the puffy white ones that you see in their paintings. 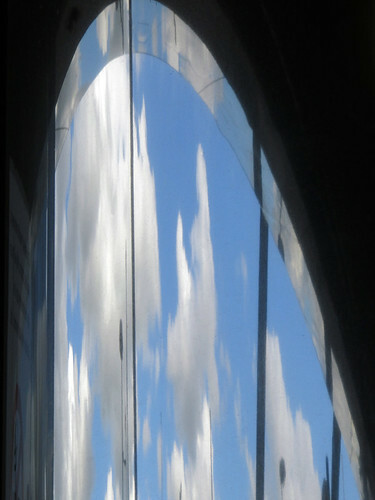 A straight-forward reflection of clouds on a pillar in the Amsterdam Central Train Station. 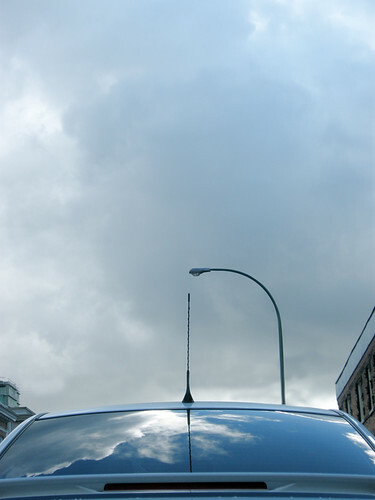 Around rainy Vancouver we have lots of clouds, and glass buildings to reflect them off, but I see my favourites from this area have been reflected off of cars. 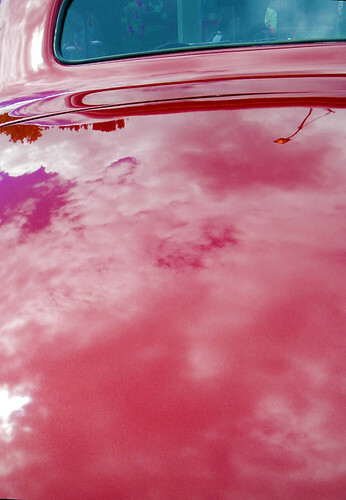 Car with cloud reflections at Burnaby Hats Off Day. 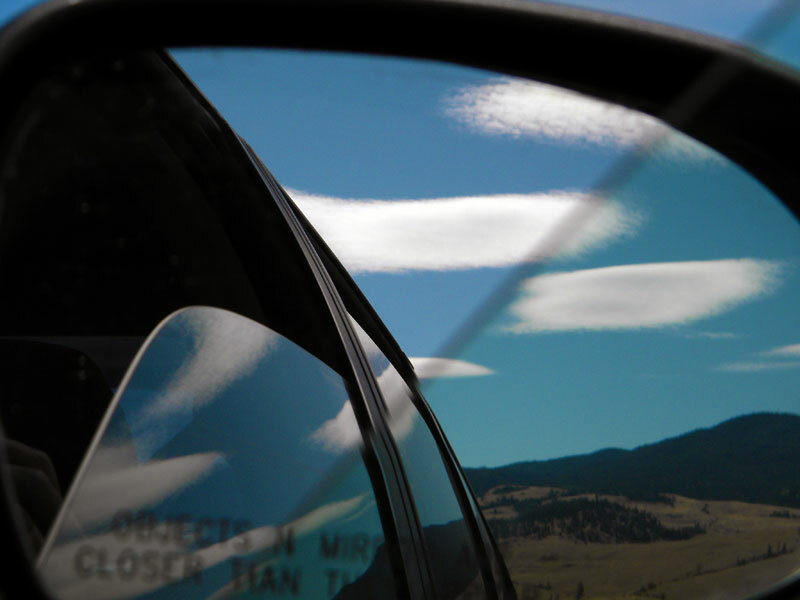 Another reflection, this of ‘Homer Simpson’ clouds in the sky above the Canadian Okanogan. This is an arid climate so the clouds have a distinctly different look to them than the rain-filled clouds on the coast. Ireland has lots of clouds and a fair amount of water to reflect them in. The beach from our White Rocks Coastal Walk in Northern Ireland, UK. 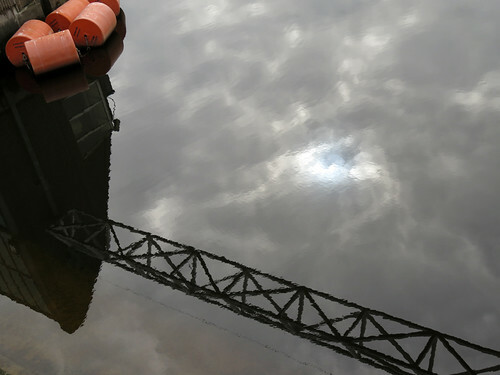 This reflection in the water was from our walk along Belfast’s Maritime Trail. 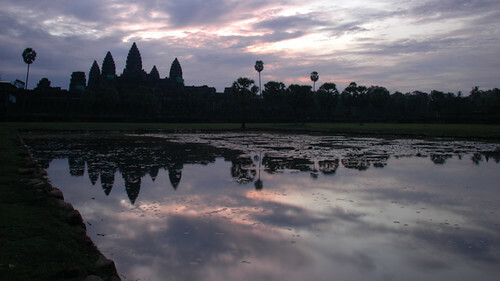 Angkor Wat at sunrise (Cambodia.) 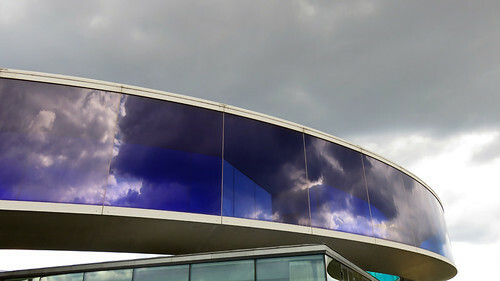 At one point we were able to see clouds reflected in the rainbow walk of ARoS from the outside (Aarhus, Denmark). Lastly, if you have great clouds and nothing to reflect them off at hand, you can always run them through the photo app Matter. 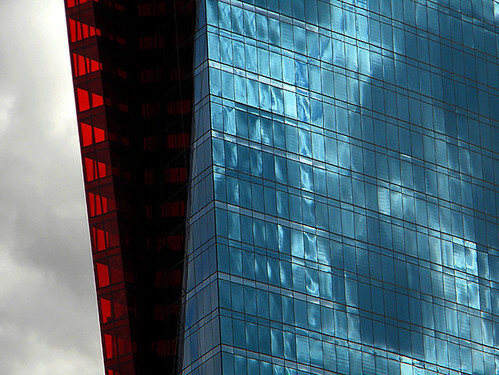 Here are some of Madrid’s Reina Sofia clouds reflected off a geometric shape. More of Ryan Photography for the Week Challenge: Clouds. 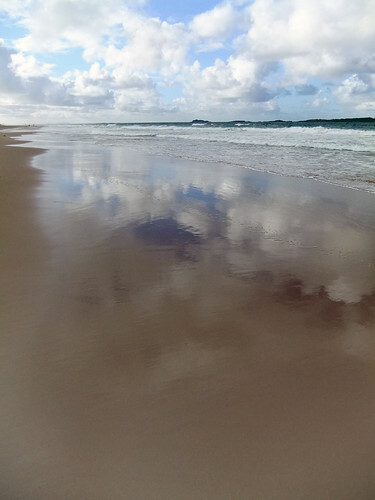 I am fascinated by cloud formations, so I love this series of yours on various ways they are reflected!